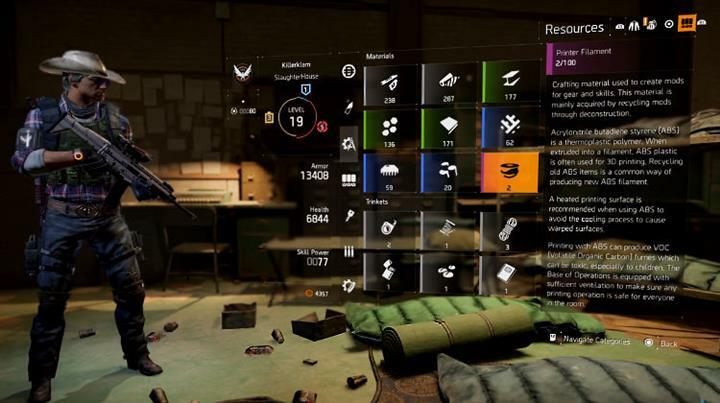 Now that the Division is finally out fans are scampering around to reach Level 30 as quickly as possible. I don't agree with rushing things too quickly but if end-game content such as Incursions and DLC group activities are locked behind level 30 then you'll want to get there sooner rather than later to keep up with your friends. This post will contain insight from myself and other community members for the appropriate strategy to reach PvE Level 30 quickly and painlessly. Believe me I've made a few mistakes along the way and I wish I could have turned back the clock! One of the most time consuming (and possibly frustrating) parts of the game is when you don't actually meet the level requirement for a Mission. I found this a particular problem around Level 10 (ish), when the subsequent mission boundaries were 12 and 14. There wasn't enough XP to catch up and after each mission I was becoming increasingly short of the next minimum level. This leaves you with two choices: either do some Side Missions and Encounters until you reach a sufficient level or play the mission underleveled. Both choices are not ideal because you've distracted yourself from the flow. You see, main missions offer 10,000's of XP whereas side missions and encounters are in the region of the 1000's. It will take you hours to earn the same amount of XP from side missions as it would if you just did the main ones. Therefore, the point I'm trying to make is that you should keep up with the Main Mission level requirements as much as possible. The first and possibly most important piece of advice I can give you is to play on Hard difficulty. By that I mean Main Missions, which you can switch to Hard difficulty before you start. It will take you longer to complete a mission and it will of course be harder but there are two massive advantages. You will almost always earn blue items (guaranteed mission reward) and enemy kills give you double XP compared to Normal difficulty. Although the actual mission XP reward remains the same across both difficulties, the kill bonus XP will easily rack up over time. Make sure you start the game on Hard and then reduce to Normal towards the final few missions (22+). There is no need to buy anything early in the game and this is especially true for Green items which are extremely common. By opting to play missions on Hard you will earn Blue items early in the game and purple items later - both of these will provide noticeable advantages and lessen the need to actually purchase anything. Even if you do play on Normal difficulty there is no need to buy anything either. The Green weapon drops are sufficient to see you through the early game and blue items come soon after. The only thing you'll probably want early on is more storage (Backpack) which you can get via a Perk anyway. Crafting becomes an important part of the game as you approach Level 30 and even beyond that as well. It is far better to deconstruct (dismantle) your gear and weapons in favour of weapon parts and resources rather than to sell those same items at vendors. Resources can be traded for higher tiered versions at the Crafting Station. For example, green fabric can be traded for blue fabric. Depending on the item you want to craft, its colour will determine which coloured resource you need. Therefore you can never have enough materials on standby for crafting. 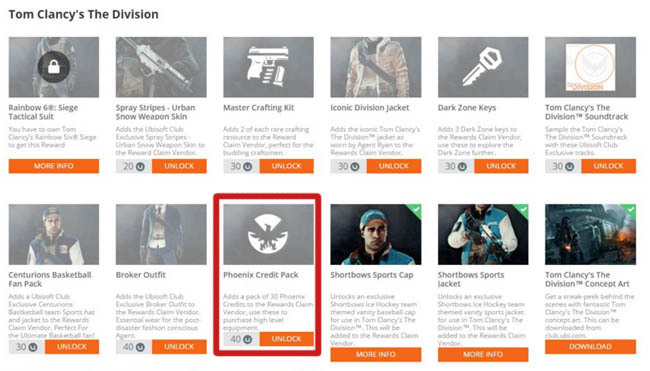 Crafting materials are also less common than money ever will be and by the time you reach end-game you'll be more concerned with Phoenix Credits anyway. 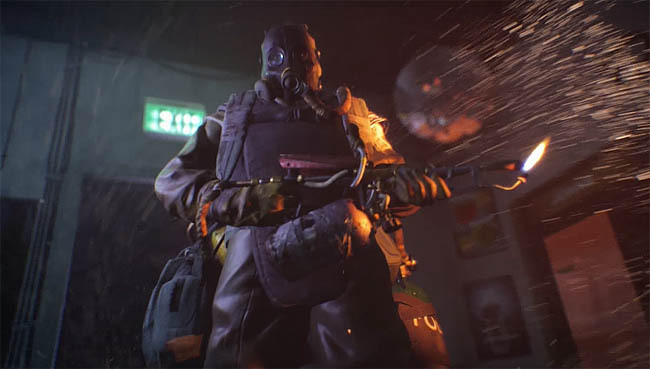 One of the early perks in the game is called Experienced Agent and it's unlocked by upgrading the Security Wing and building the Situation Room for 500 points. This perk will grant you a 10% XP boost across all activities. So let's say you've got a main mission which rewards 50,000 XP. With this Perk you would actually gain 55,000 XP - that's a difference of 5000 XP which is huge. Enemy kills, Side Missions, location discoveries and everything XP related is boosted. Whilst I don't agree with doing many encounters, Side Missions still offer a worthwhile reward in the form of Blue items. These will help to bolster your attacking and defensive strengths as you progress through the main missions. Should you go out of your way to do side missions? No. If they are directly between you and your next mission then I would say yes but it's not worth venturing across the entire map to do a single Side Mission. Try and target Side Missions in the same district as the next main mission and generally avoid the antennae missions unless you like climbing. It's worth noting that some Side Missions offer substantially more XP than others, sometimes 10 times more. Keep an eye on the XP value before venturing into these so you go in with a worthwhile reward at the end. 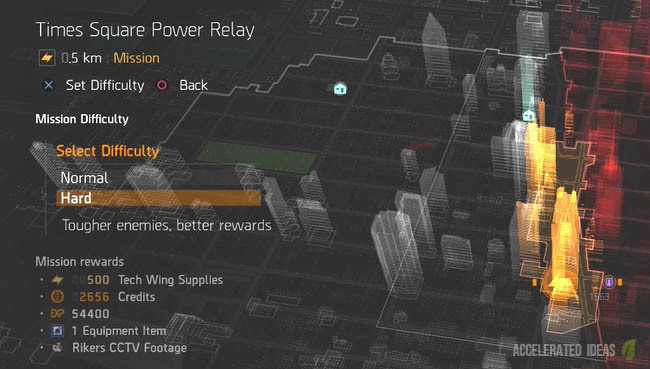 New Side Missions are unlocked by interacting with the situation boards and NPC's within Safe Houses. Lastly, something which I always do - Matchmaking. Going solo is fine in some cases but having extra fire support and help when you're downed is important. It's also great that Massive have included the option to enter matchmaking for any activity. No one wants to restart missions and you'll certainly appreciate the distraction that other players provide in the middle of BOSS fights.